Jypyä Pop (Turku, Finland) on 22 January 2015 in Cityscape & Urban and Portfolio. Radar would be helpful . . Excellent. ... and mysterious ! 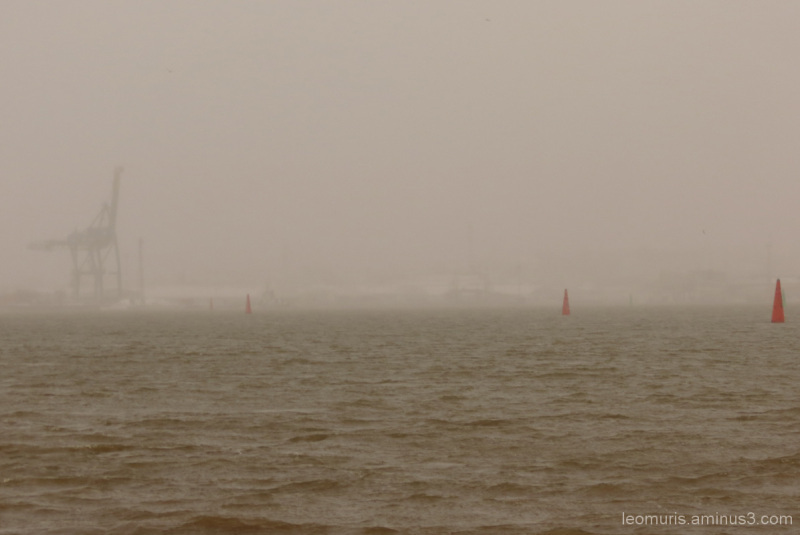 Grey misty day, making the port appear slowly. So mysterious! like the composition. Un peu de brume pour plus de mystère... belle prise... bonne journée ! @Ruthiebear: I agree. Thank you. The little red buoys stand out as a strong warning in the misty morning. Superb photo. Waiting for the sea monster to appear in this!! Well done! The ship better go slow in this fog.